As an educator, artist, former banker, human services administrator, writer, storyteller, and public speaker on Folk Art and Culture, Eunice LaFate has positively impacted the lives of many. A Jamaican born self-taught artist, Eunice’s vibrant art in acrylic, oil and watercolors portrays folk culture and embraces human diversity. Through her many career endeavors, LaFate has experienced the profound transforming power of the Arts, starting with her “safe-haven basement gallery” for youth on the Wilmington’s Eastside in the ’1990s. She also worked with the YWCA Studies Circles program to address racism, the YMCA Youth Achievers program, the Summer Stop the Violence program, Project Stay Free, Job Corps, and more recently, Summer Arts in the Parks. In 2013, LaFate celebrated a 20-Year Folk Art Retrospective with a 3-month Exhibition at the Blue Ball Barn, and the production of a Documentary, “Arts as Prevention. She is also the recipient of numerous awards and citations, her most recent the 2014 Governor’s Award for the Arts. Additionall she has received numerous awards for her folk art and community volunteerism. In retirement, LaFate continues to be actively involved in engaging Inner City youth in the Arts. Her paintings are in the art collection of Delaware Folk Life of the Blue Ball Barn and in the William Jefferson Clinton Presidential Library in Little, Rock AR. LaFate earned a BA degree from the University of the West Indies, Jamaica and a MS degree in Human Services Administration, graduating magna cumlade, from Springfield College, MA. 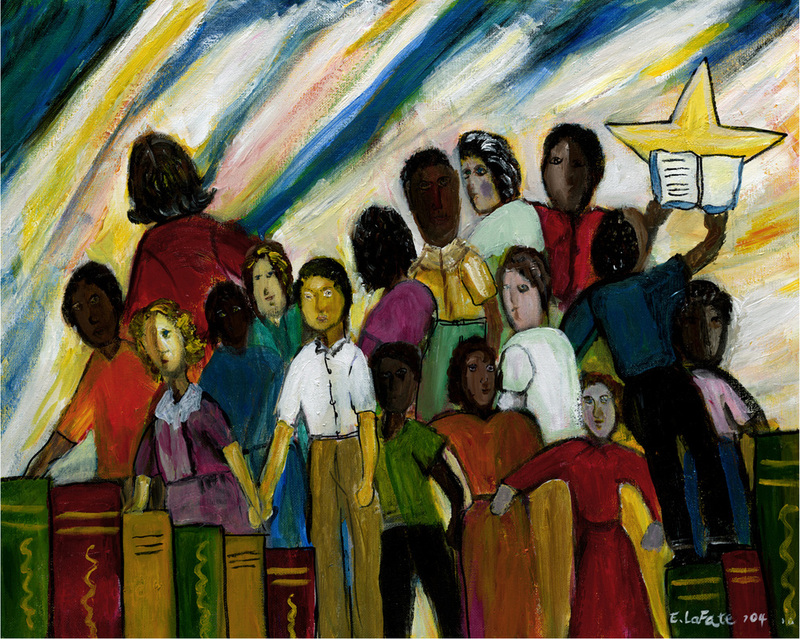 "The Artist envisions a world where no child is left behind, because "Every Child is a Star."